I still remember when around 20 years ago my dad brought home the first computer I ever had the chance to use. 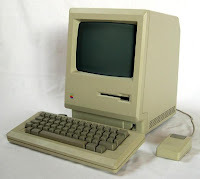 It was a Mac with 1Mb ram which wouldn't let me play an Indiana Jones graphic adventure game that a friend from class had. It actually required 2 Mb ram. Shortly after my dad got a "portable" Mac. I mean "portable" -not portable- because it was like a small suitcase. Quite thin for that time...but huge would not be enough for today's standards. That was my first experience with computers. For 15 years Apple disappeared from my life. Then, in 2006 my friends bought an iPod nano as a farewell present, shortly before I left for my new life in New York and Apple came somehow back to my life. Microsoft and Windows had taken over and I must admit that, for the most part, they did the job. After two years in New York, by mid-2008, I became a Mac (again). It is curious to see the different perceptions about Macs between Spain and the US. In Spain it is still widely regarded as a tool for designers, advertisers and so forth. In the US, on the contrary, anyone can use it. Well, you have to be cool to use it. Or, more accurately, it makes you look cooler. Stupid or not, that's what it is. It is the same than buying a iced tall mocha from Starbucks; it looks so much better than a latte from McDonalds. But leaving perceptions aside, Macs - and Apple products as a whole - are great products and they have this charm that make me own more of them. They have that something that makes me visit the Apple stores anywhere I go as if they were scenic points. That's what I call the Apple effect. I was thinking about this today as a number of Spanish dailies told stories about the new Apple's tablet to be supposedly presented on January 27 ("Come see our last creation"). This is kind of new in Spain. It is something common to hear and read analysts and journalists about Apple's new products, about the effect of the new devices in the company's bottom line or in the stock price. But I still find it somewhat curious to read columns about this in Spain. 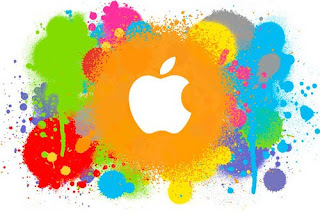 By being innovative and by bringing to the market products such as iPods, iPhones, iTunes, iMacs, etc., Apple is stepping in new territories and, expanding its footprint and creating a new generation of people awaiting vividly for Apple's next thing. I have recently started reading a book called "Return to the little kingdom", which tells the story of how Steve Jobs and Steve Wozniak founded Apple back in the 1970s. The only similar book I have ever read is "Losing my virginity", Richard Branson's autobiography, which also narrates how the Virgin empire was built from scratch. At the end of the day, both Virgin and Apple have many things in common, starting from their leaders, Branson and Jobs, and the feelings that both companies convey to millions of consumers.